Cadmium (Cd) in agricultural soil negatively affects crops yield and compromises food safety. Remediation of polluted soil is necessary for the re-establishment of sustainable agriculture and to prevent hazards to human health and environmental pollution. Phytoremediation is a promising technology for decontamination of polluted soil. 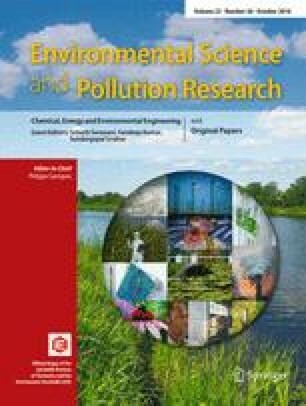 The present study investigated the effect of molybdenum (Mo) (0.5, 1.0 and 2.0 ppm) on endogenous production of total phenolics and free proline, plant biomass and photosynthetic pigments in Ricinus communis plants grown in Cd (25, 50 and 100 ppm) contaminated soils and the potential for Cd phytoextraction. Mo was applied via seed soaking, soil addition and foliar spray. Foliar sprays significantly increased plant biomass, Cd accumulation and bioconcentration. Phenolic concentrations showed significantly positive correlations with Cd accumulation in roots (R 2 = 0.793, 0.807 and 0.739) and leaves (R 2 = 0.707, 721 and 0.866). Similarly, proline was significantly positively correlated with Cd accumulation in roots (R 2 = 0.668, 0.694 and 0.673) and leaves (R 2 = 0.831, 0.964 and 0.930). Foliar application was found to be the most effective way to deliver Mo in terms of increase in plant growth, Cd accumulation and production of phenolics and proline. The Pakistan Science Foundation (PSF) is highly acknowledged for the full financial support. PSF has funded this project under Pak-US Natural Sciences Linkage Programme (NSLP) vide project No. PSF/NSLP/KP-UM (432).